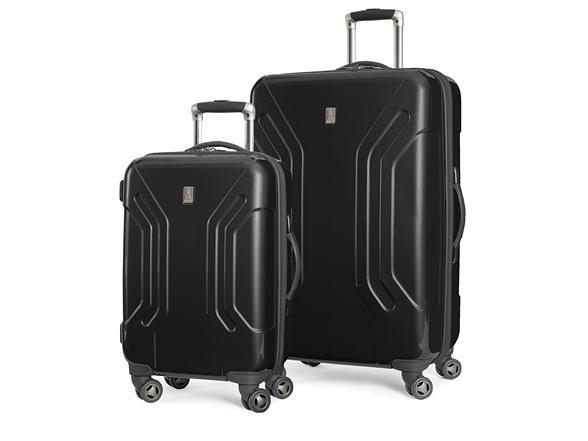 The Travelpro 2 piece inflight lite hard side spinner luggage set shell is constructed of durable abs plastic with a polycarbonate scratch resistant finish. 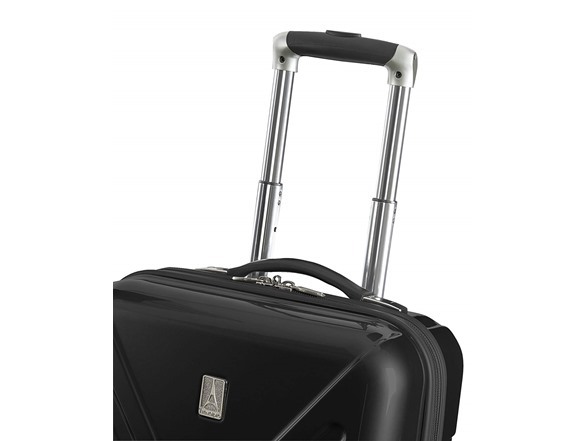 Major benefits of this material: it is extremely lightweight, durable, and protects the contents of your luggage. 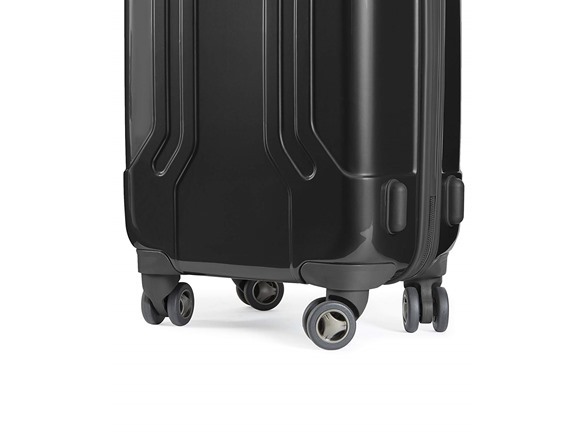 The shell also flexes so it can absorb an impact, and return its original shape, and the scratch resistant high gloss polycarbonate finish acts as a sealer that helps prevent your suitcase from being scuffed. A two stage telescopic handle system with push button locking makes for easy maneuverability. 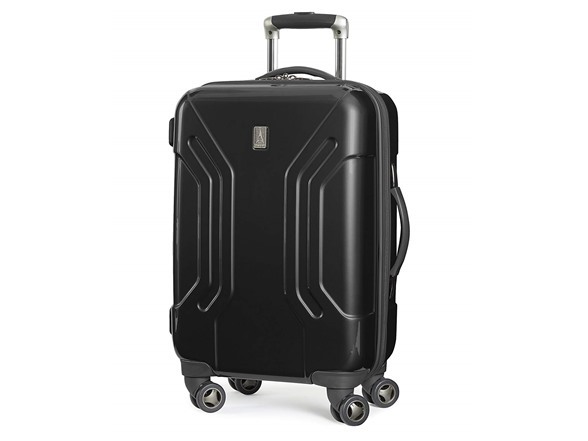 The eight wheel spinner system, lets you rotate the bag 360 degrees and provides an effortless and smooth glide. 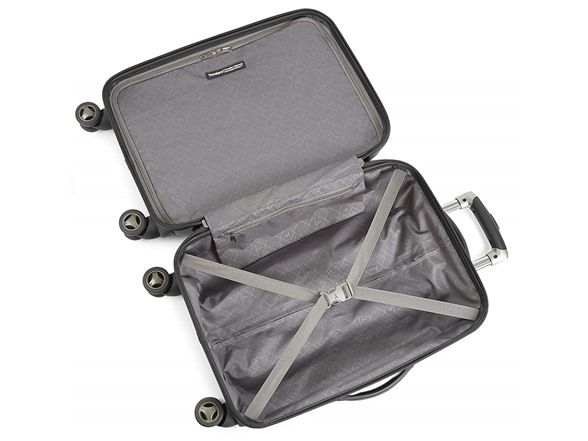 Features a fully lined interior with divider and tie-down straps to keep your clothes organized and secure.